Below are just a few of the animals that are currently at ARK. There are many more, all of them waiting to find a new home. Rosielea is a gorgeous girl with a great personality. 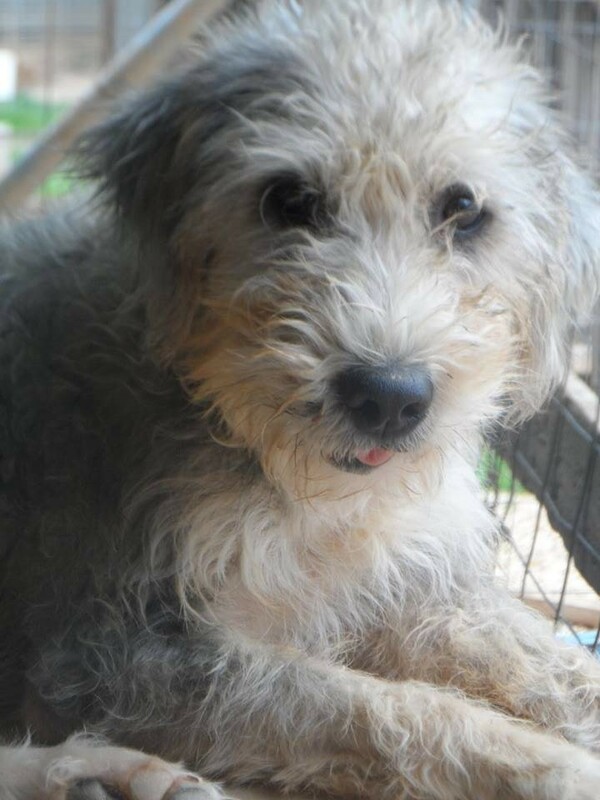 She was brought to ARK as her owner couldn't look after her properly. Rosielea does have a problem with her eyesight (reduced vision) but comes to you easily when called, so this doesn't hold her back. Rosielea would make a fantastic pet for a family or anyone who is looking for a sweet-natured dog with lots of love to give! Lucky was very scared when he came to ARK in februari 2016, however the next day he was a lot more confident and doing much better. He loves people and plays a lot with the other dogs in his pen. Lucky is a sweetheart. 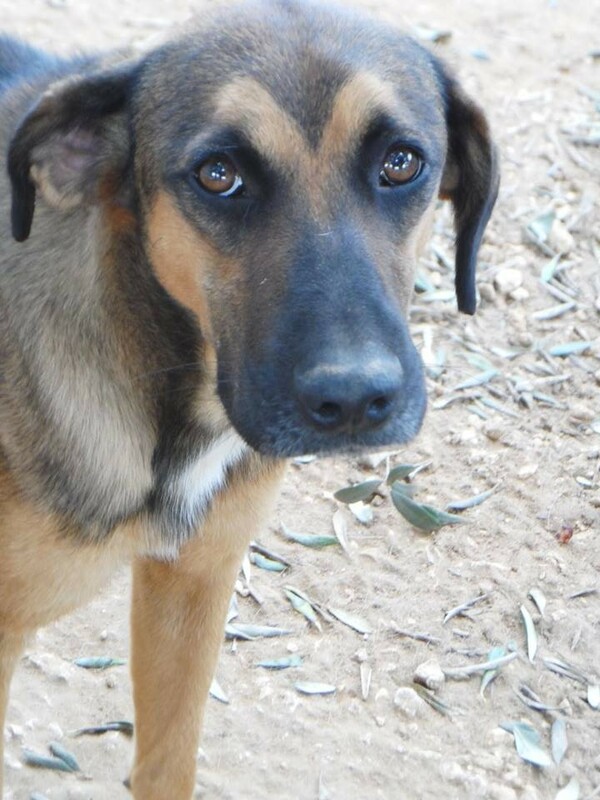 Hope is a very shy girl who hasn't been an arkie for long. 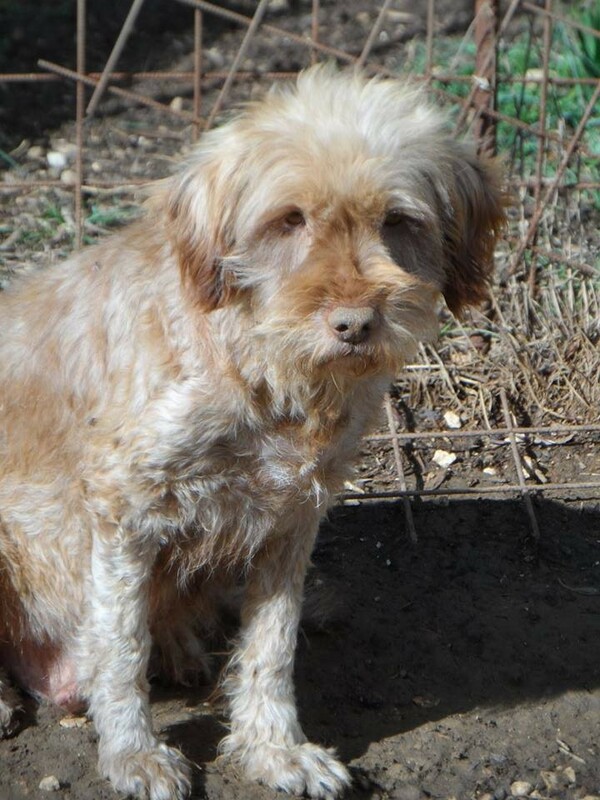 We are working very hard to socialize her and we are starting to see a little progress, however we think a forever home might be better for her and show her that people are worth trusting. Voilet is an adorable lady, she really loves people and likes to do a little dance on her back legs when she wants to get your attention. She is very gentle and relaxed, and loves to sleep in the sun. 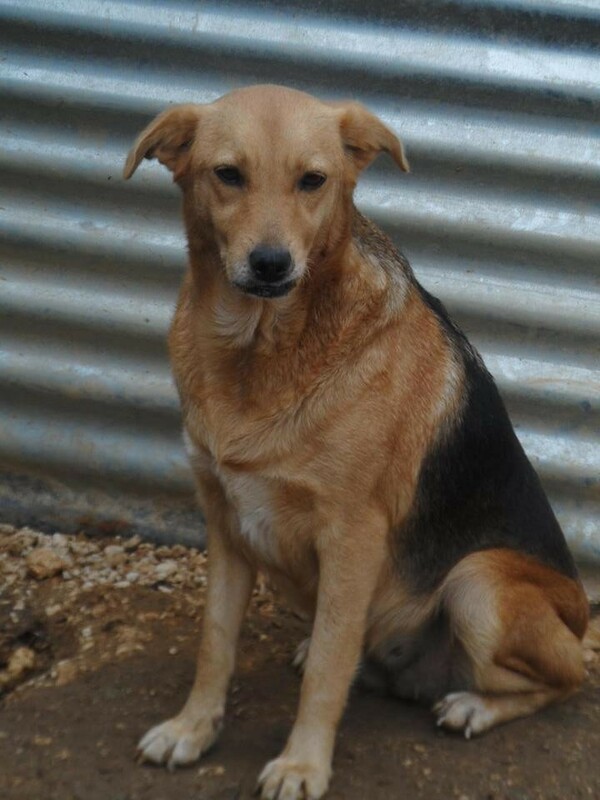 She gets on well with her kennel friends and is a really lovely girl. Norman is the sweetest, funniest and most adorable boy, with such a great character, and such an adorable look. 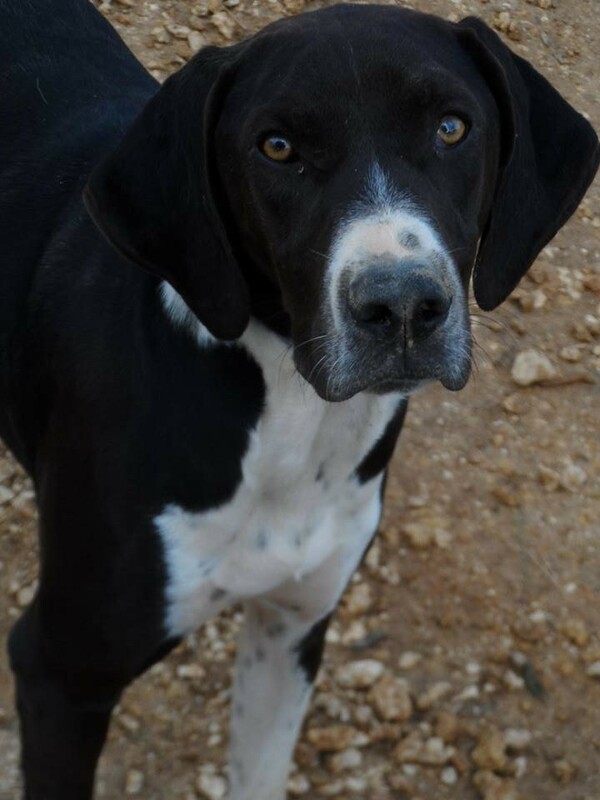 He is still very young and loves to bounce, wrestle and play with his best friend Jasmine, and when he sees people, he looks at you with the sweetest little eyes begging for you to come and give him some attention. He has earned his nickname ‘Norman the Doorman’ as he paces the fence as soon as he sees a friendly face approaching in the hope it means a visit to see him. Norman likes to climb in to your lap and put his face against yours, he has such funny little ways about him, he really has an amazing and very endearing character. Norman will make the most wonderful addition to the family. Gildo is only available for sponsorship. He was brought to the shelter as a young puppy, together with his sister who has since been adopted. He is a very sweet and smart young boy, who has a very playful and energetic side, but loves most of all his nap times during the day. Cookie came to the shelter as a very small kitten. She is shy, but becomes very sweet once she gets to know you. She gets along well with her fellow cat friends at the shelter. Tootsie is an absolute sweetheart, a very small and pretty little girl, she gets on very well with her fellow puppy friends, and loves to be around people enjoying cuddles and affection. 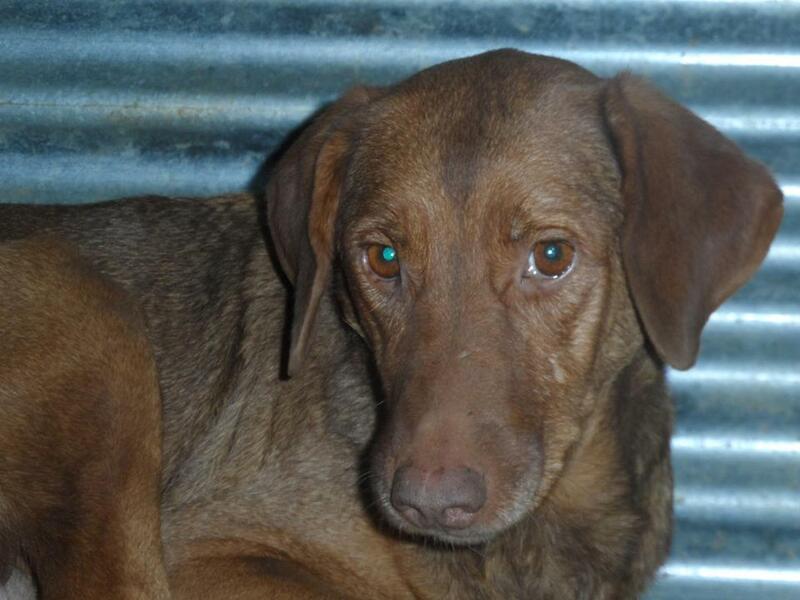 Tootsie will make a lovely addition to the family. 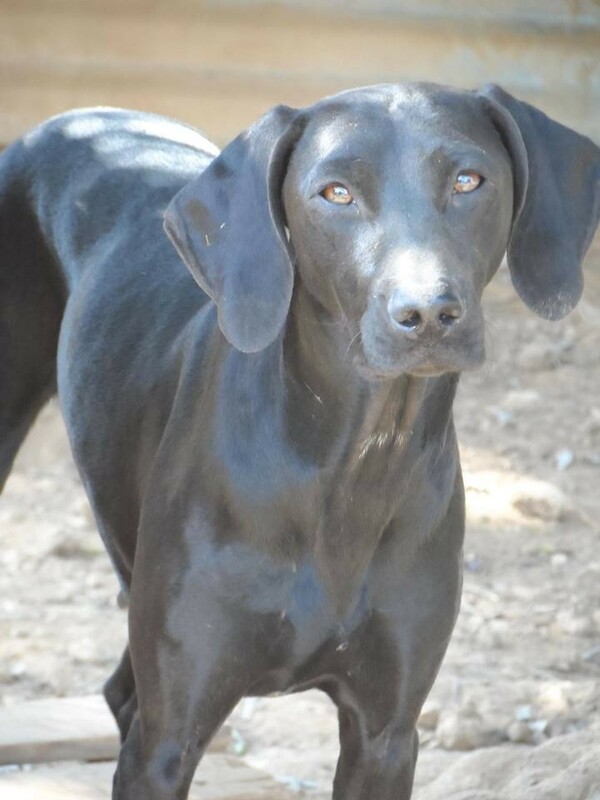 Cherrie is an adorable and sweet natured young lady, she has spent most of her short life so far living in the shelter among her many puppy friends, she has a fun and playful nature, and with people she is so sweet, gentle and loving. 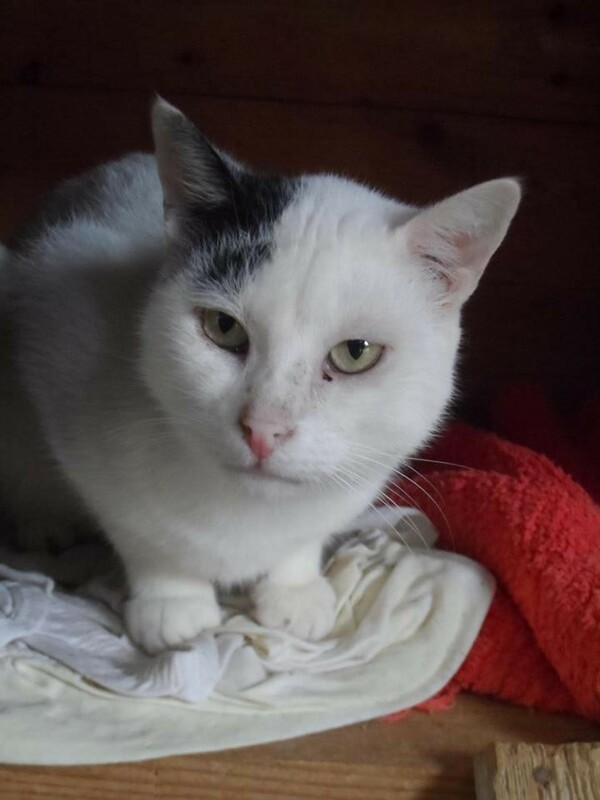 Elmo is a lovely, happy and affectionate boy. He was found abandoned outside of the shelter alone, and he was desperate to get inside the shelter for comfort. He loves to play with his friends, but also really loves to be with people and to be made a fuss of. Elmo will make a loving addition to the family. Taco is a real sweetheart, a happy, playful and loving young boy who gets on well with his fellow kennel friends, and really loves to be with people. Taco can be very fun and playful, but also likes to relax quietly in the sun. A really lovely guy who will make a wonderful addition to the family. Nando is a very happy and playful little guy. 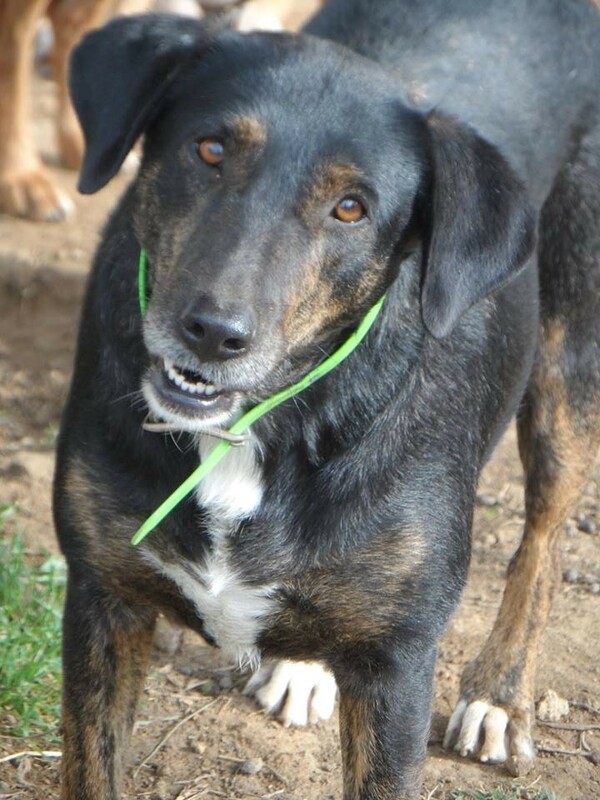 He gets along very well with his kennel friends who he has grown up with in the shelter, he loves running and playing with toys, and he also loves people and is very loving and affectionate. 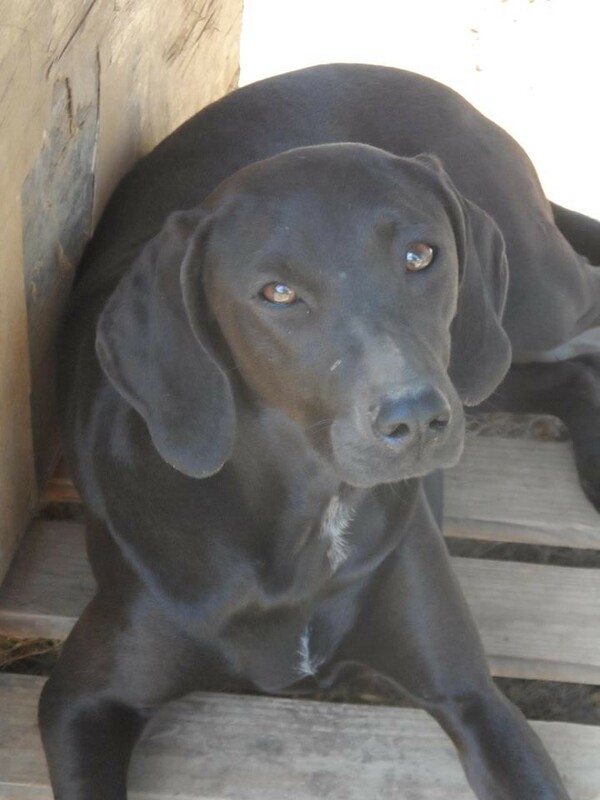 Miley is a very happy, playful and affectionate young lady. She has spent most of her short life growing up in the shelter, among her many friends and her sister Dolly. 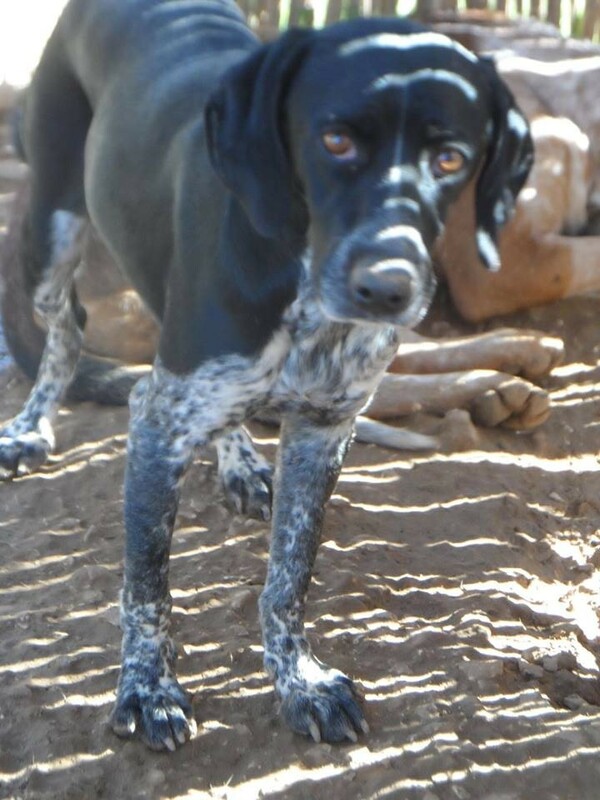 Miley gets on very well with her kennel friends, with her playful nature, and she really adores people. 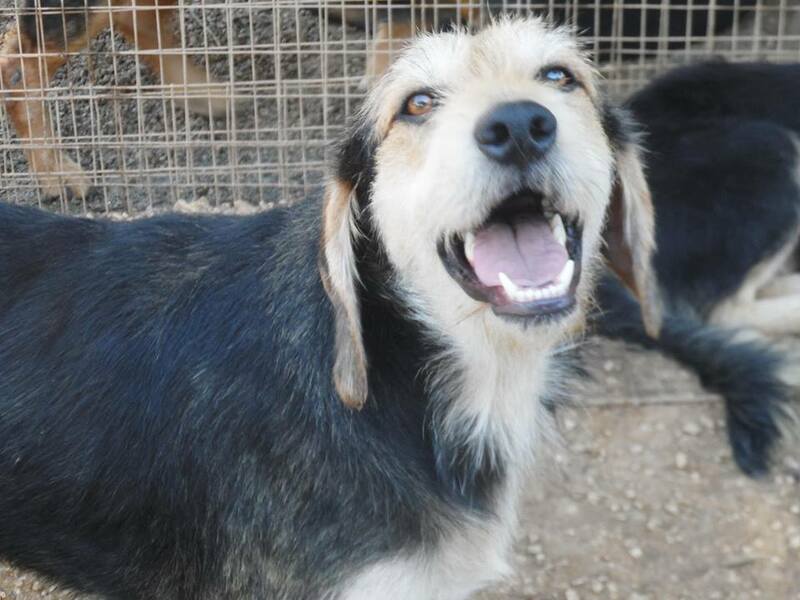 Dolly is a sweet and happy little lady. 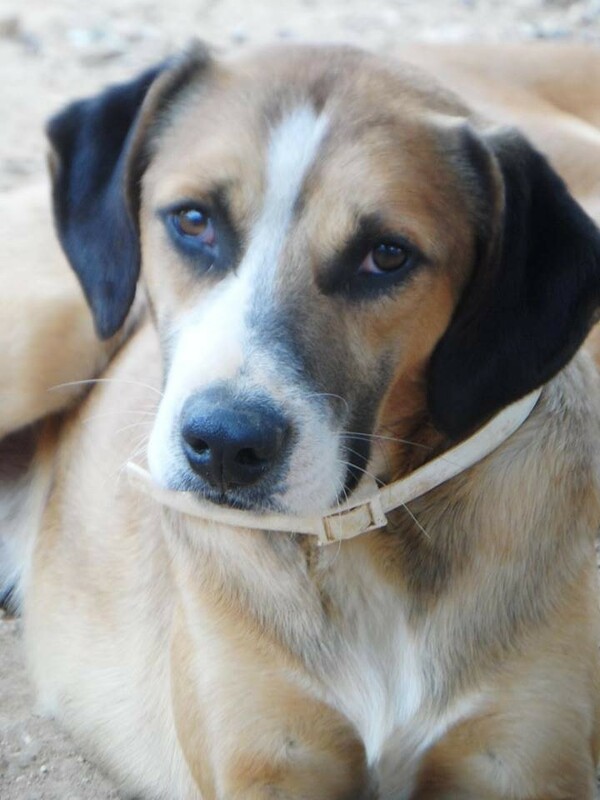 She has grown up in the shelter after being abandoned as a young puppy together with her sister Miley. Dolly has a playful and happy nature, and she gets along very well with her fellow puppy friends who she has lived with for most of her short life so far. She loves people and can be very affectionate. Benji is a lovely little guy. He lives among a lively group of friends who he gets on well with and he enjoys playing. He can be a little timid until he gets to know you, then he is very sweet. Lexi is a beautiful girl with a happy and lively nature. 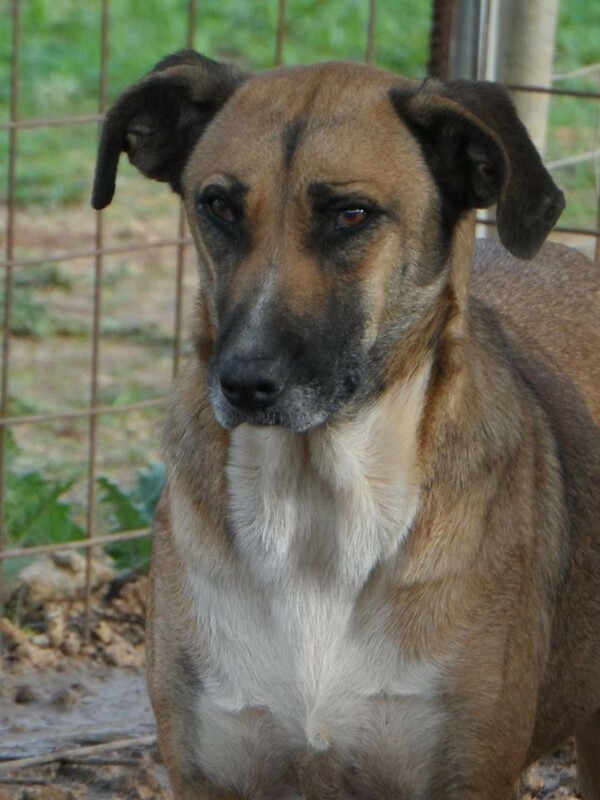 She is looking for a home where she can be the only dog. Lucy is only available for sponsorship. Lucy is a real sweetheart. 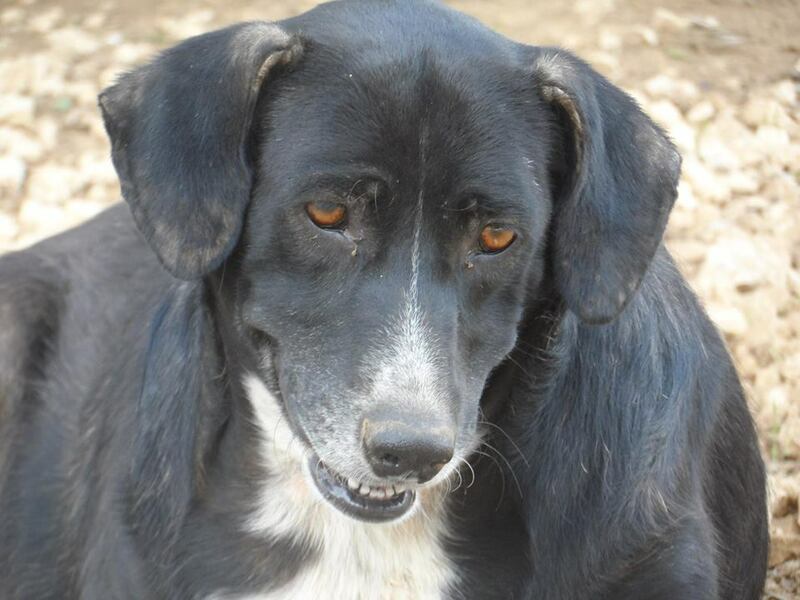 She is such a gentle, quiet and relaxed girl, and prefers to spend most of the day relaxing quietly in the sun. Another favourite 'activity' is eating. 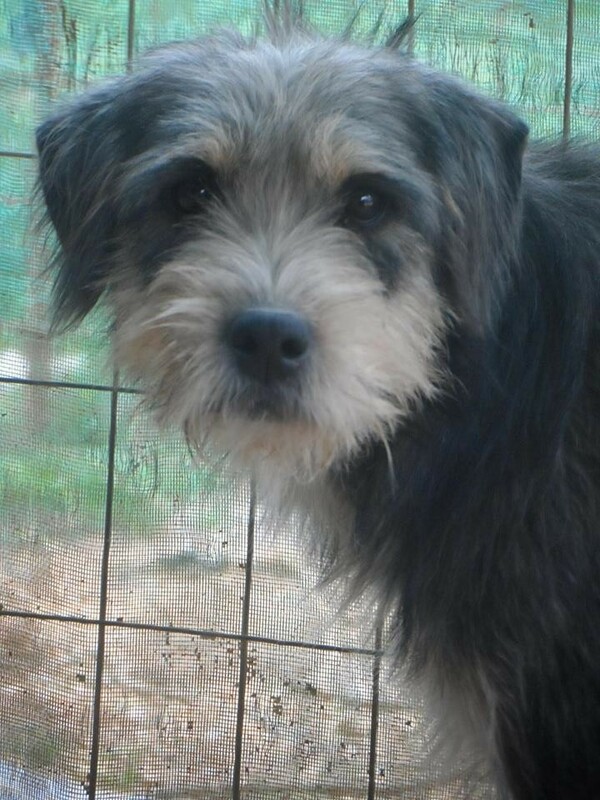 Lucy is a little timid until she gets to know you, then she becomes so sweet and loving. Lucy is happy in ARK with her friends Quasi, Mela, Karla, Gildo, Sienna and the cat Memas. That is why she stays. 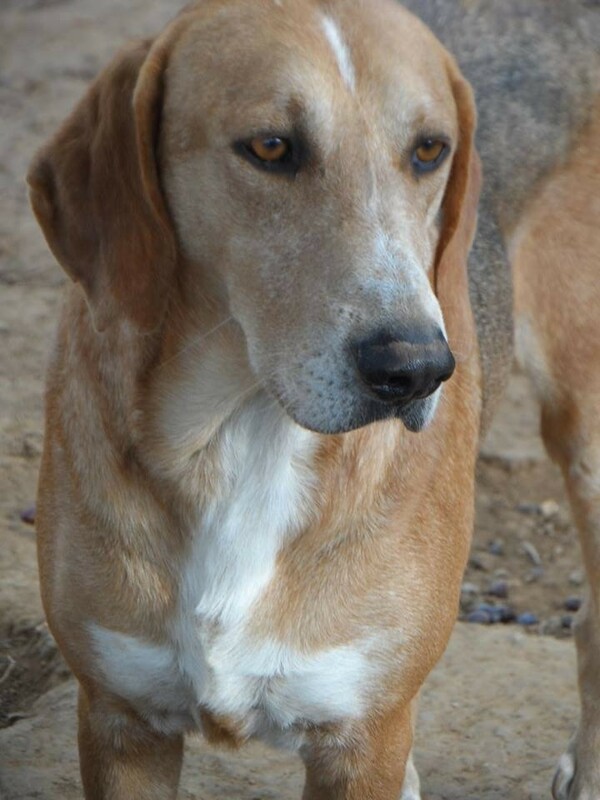 Isabel is a beautiful and sweet girl, she is very friendly and playful with her friends, and enjoys greeting people. Isabel can be a little timid until she gets to know you, but shows her very sweet and loving side when she is comfortable. Isabel will make a lovely addition to the family. 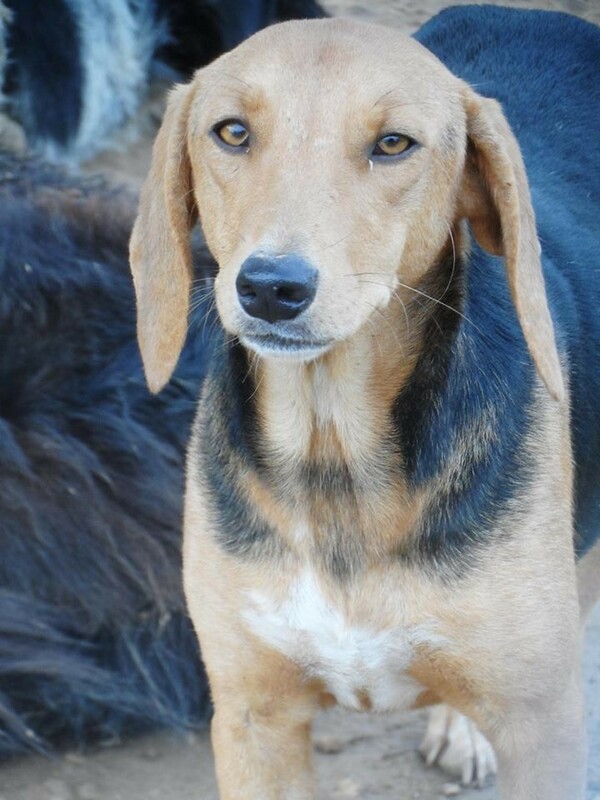 Melody is a very young, lively, happy and playful girl. 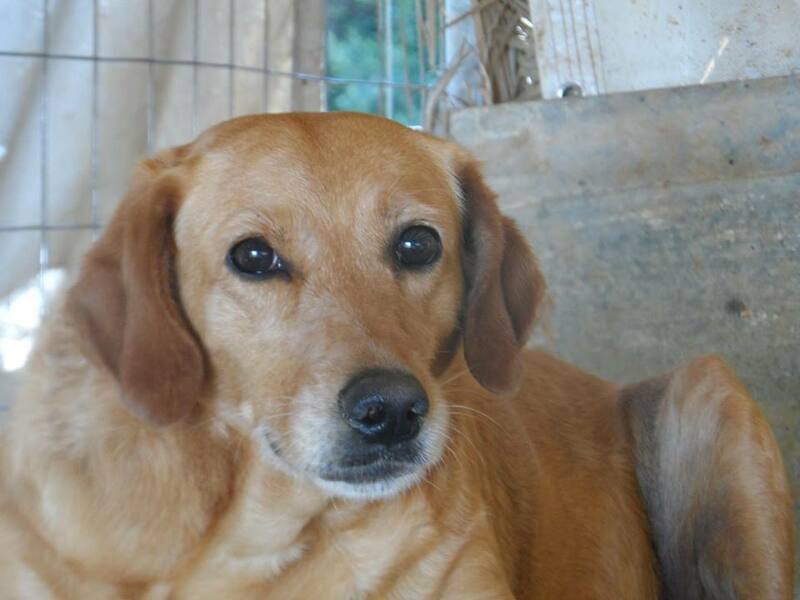 She is very loving and affectionate with people, but is looking for a home without other dogs. She will make a wonderful addition to the family. Lazarito is only available for sponsorship. He is very scared around people, due to his very hard life before Marina managed to rescue him. However, he has shown recent signs of improvement and is getting miraculously comfortable with Marina. His eyes were always wide open and scared with people around, but have changed a lot in Marina's presence. You can see he is a lot more confident and relaxed. Doris ARK is his home. Pixie is a real sweetheart, a very happy, fun and playful young lady, she came to the shelter together with her siblings Jasper, Casper and Trixie when they were very young puppies. Pixie loves to run around and play, especially with her twin sister Trixie, and she absolutely loves people and will greet you with a big loving hug as soon as she sees you. Pixie will make a really wonderful addition to the family. Jasper is an absolute sweetheart. He really adores people and will greet you with the most loving hug, he wants to put his head close to yours and stay like that for a long time. 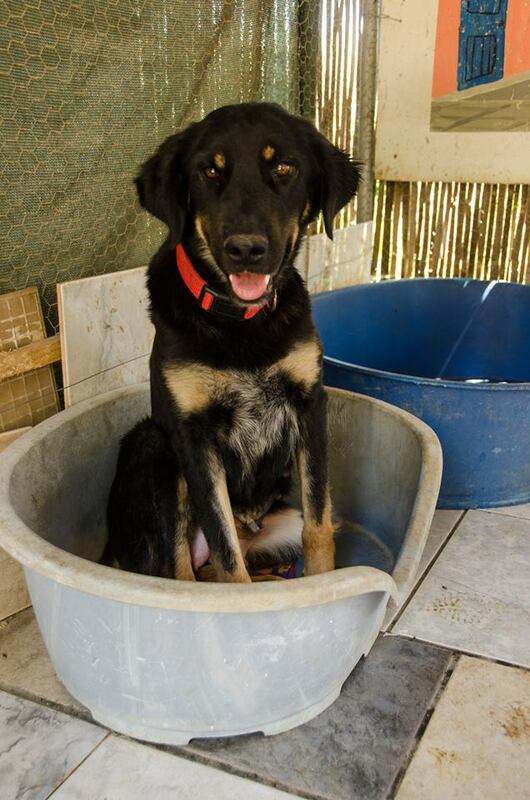 He also has a very lively and playful nature with his kennel friends, and he could happily run and play all day. Jasper and his siblings, Casper, Pixie and Trixie have been living in the shelter since they were very young puppies, and deserve the chance to live in a loving home with a family of their own. Jasper will make the most happy and loving addition to the family. Olivia is a fun, happy, lively and lovely natured girl. She is still a puppy at heart, and loves to run around and play. She has such a happy and loving nature with people and gets on so well with her kennel friends who she has grown up with in the shelter since she was a young puppy. Olivia will make a lovely addition to the family. 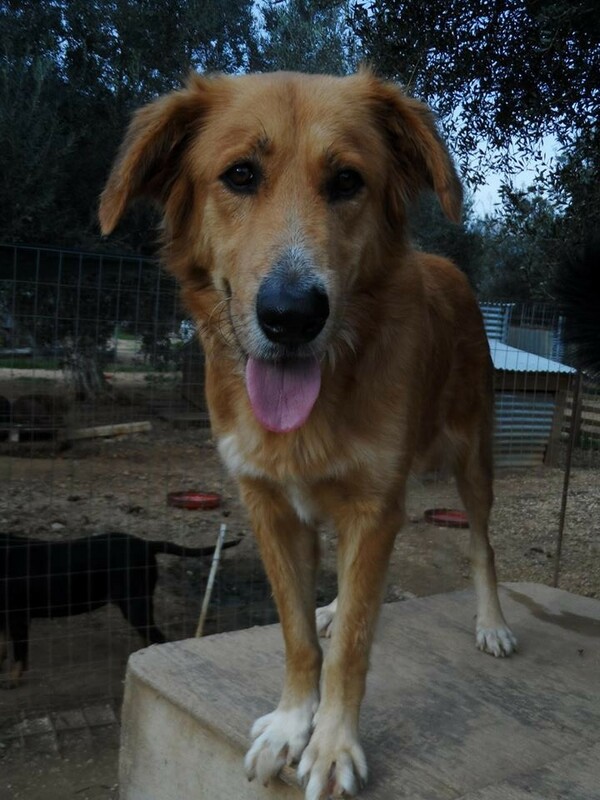 Alaska is a very happy and lively young lady, she really loves people and will greet you with a big hug. 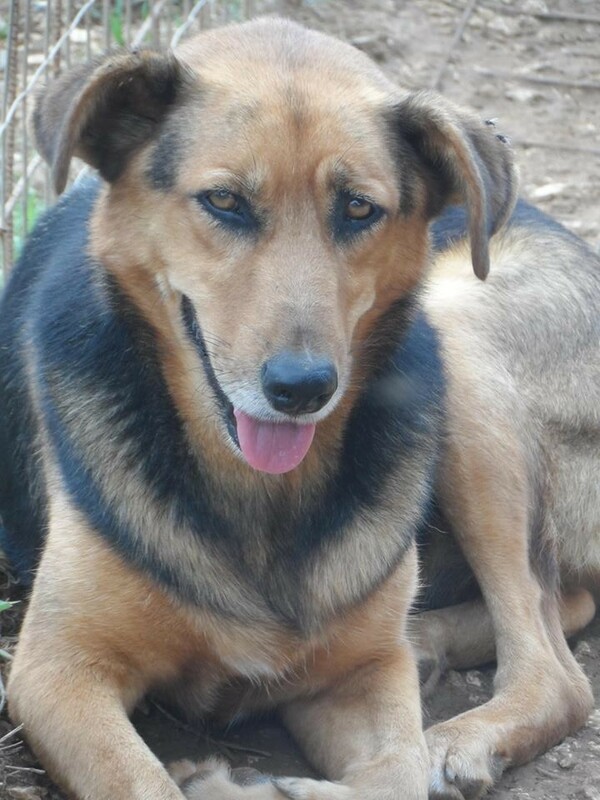 She gets on very well with her kennel friends who she has lived with in the shelter since she was a young puppy. Macs is a sweet young boy, he came to the shelter when he was still very young and shy. Gradually he is getting more comfortable with people and loves to play with his friends. 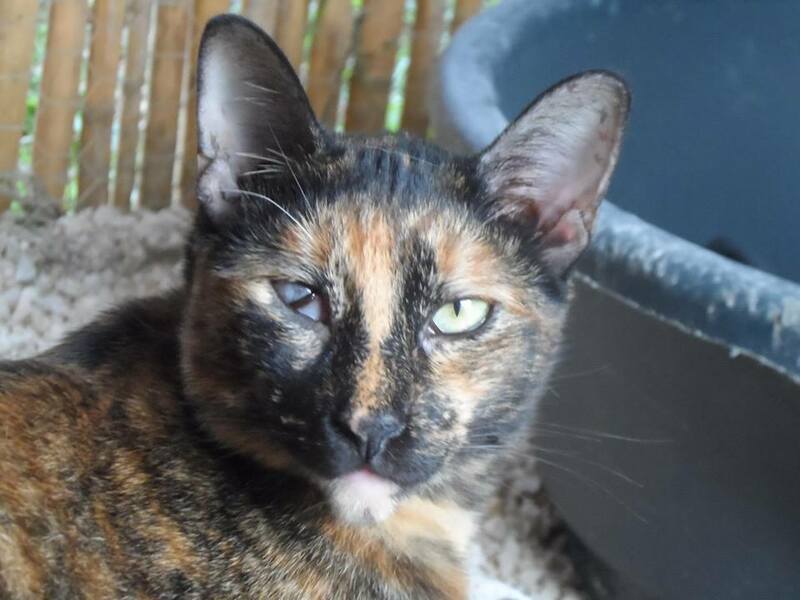 Jellybean is a striking cat with a beautiful shiny coat and stunning big eyes. She can be a little timid but enjoys the company of the other cats who she lives with. 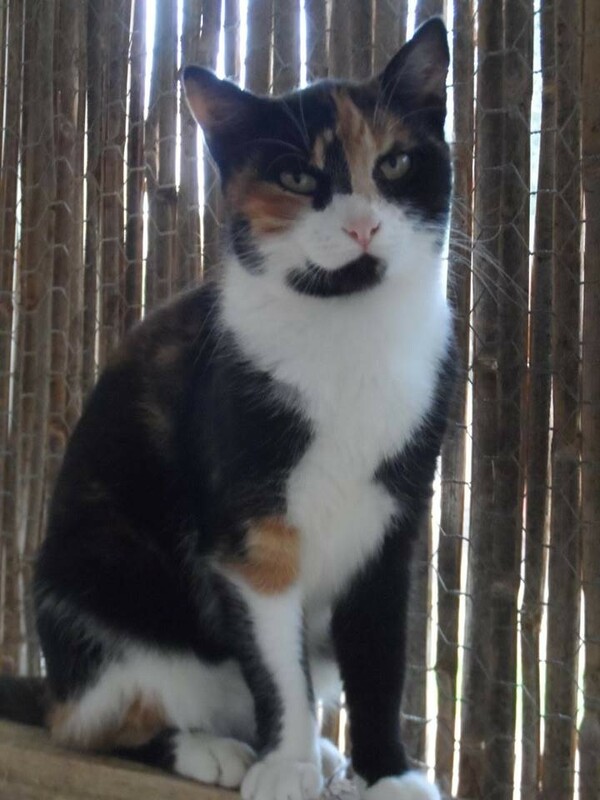 Whiskers is a beautiful, affectionate and gentle natured lady. 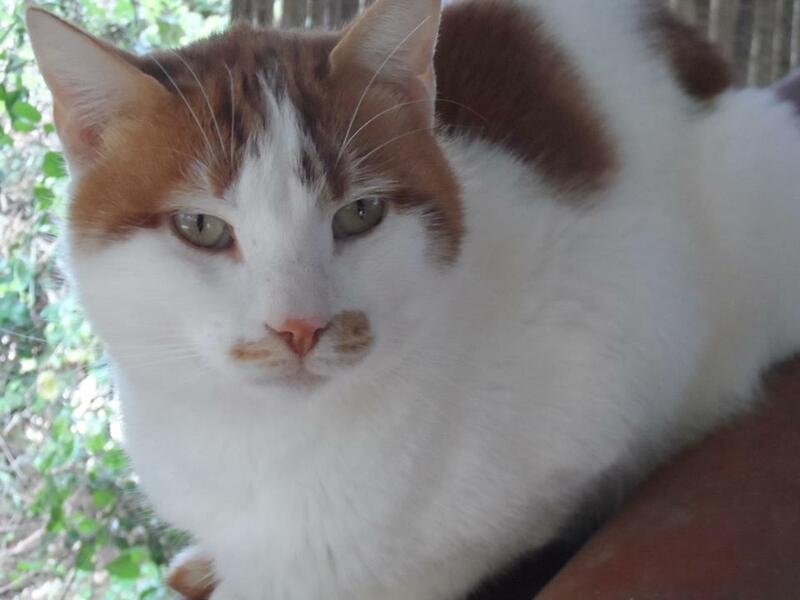 Gizmo is a real character, and a real people's cat, he loves to cuddle and sit in your lap, and he gets on well with all his fellow cat friends. Cinnamon is a very shy and quiet cat. 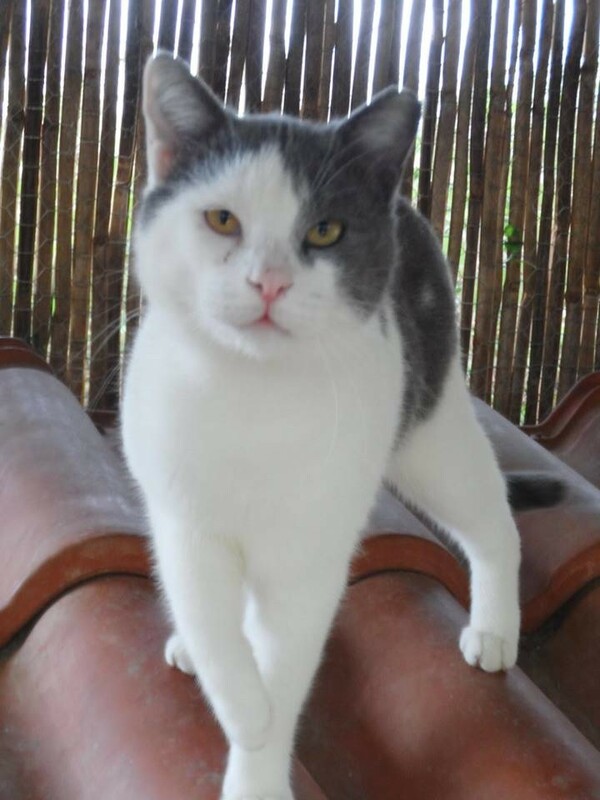 Smokey is very sweet and affectionate with people and gets on well with other cats. 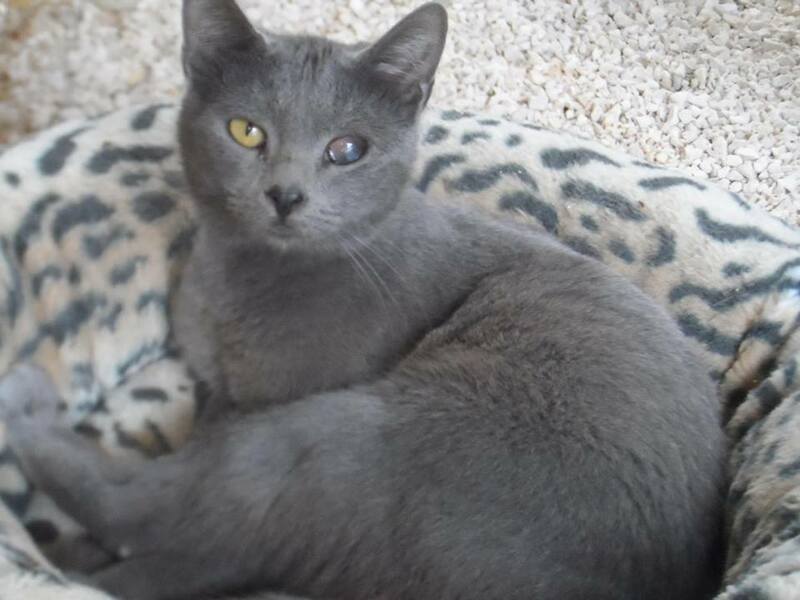 Smokey is blind in one eye but is not affected by this. 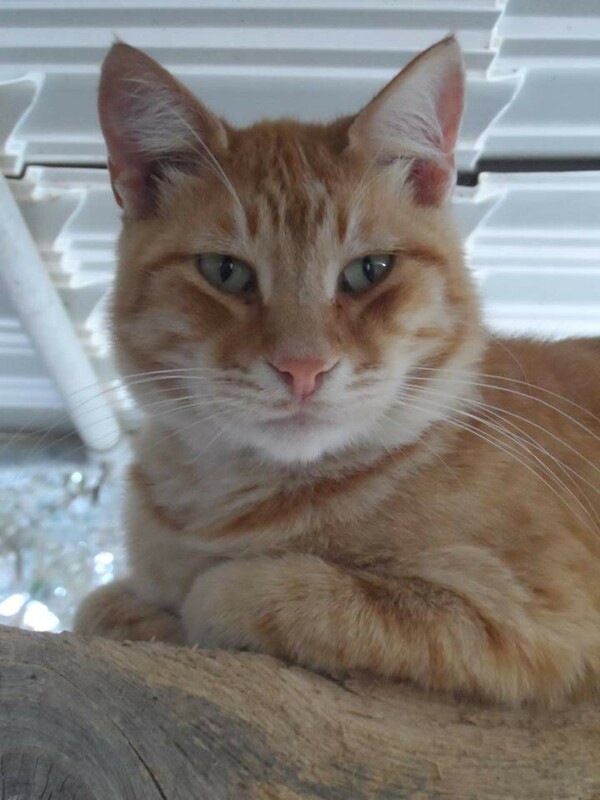 Garfield is a lively and friendly cat, social both with other cats and with people, and likes to play by tapping you with his paws. Frosty is a very shy cat. 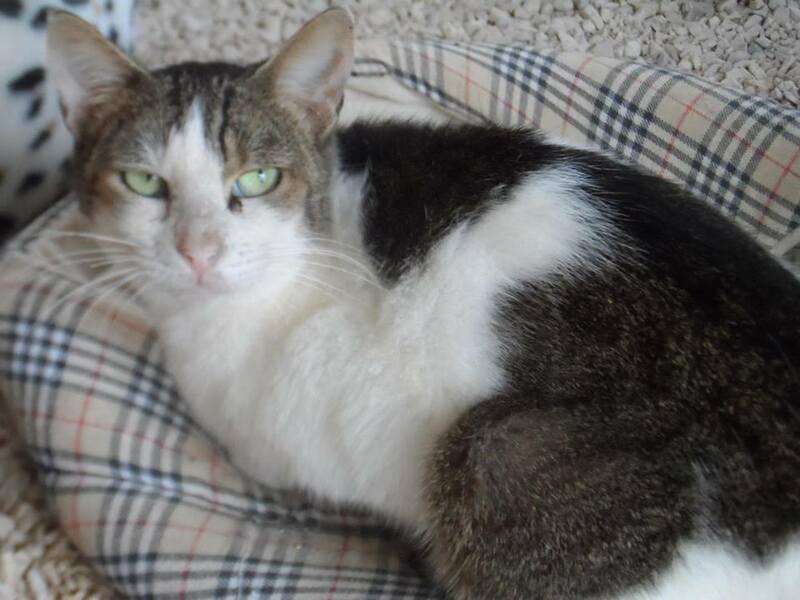 Saini is a lovely gentle natured cat who is social both with other cats and loves to be with people. Havana is a beautiful girl with a wonderful loving nature. She gets on so well with her kennel buddy Apollo, and she adores people and will greet you with a very welcoming hug. 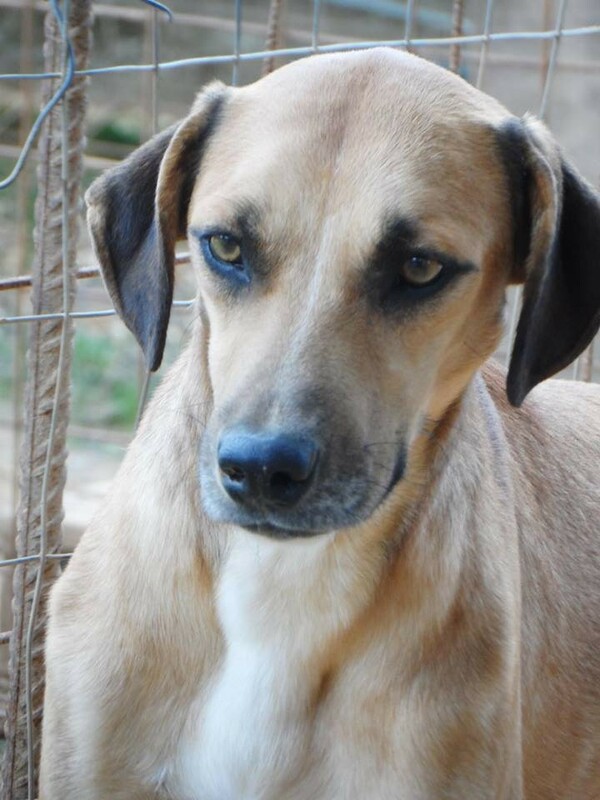 Havana is a gentle and relaxed girl, and will make a really wonderful and loving addition to the family. Solo is a very sweet and handsome boy. 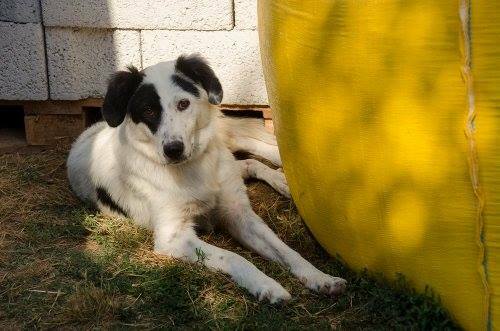 He gets along very well with the females he shares his kennel with, and he is very affectionate and friendly with people once he gets to know you. Solo will make a lovely addition to the family. 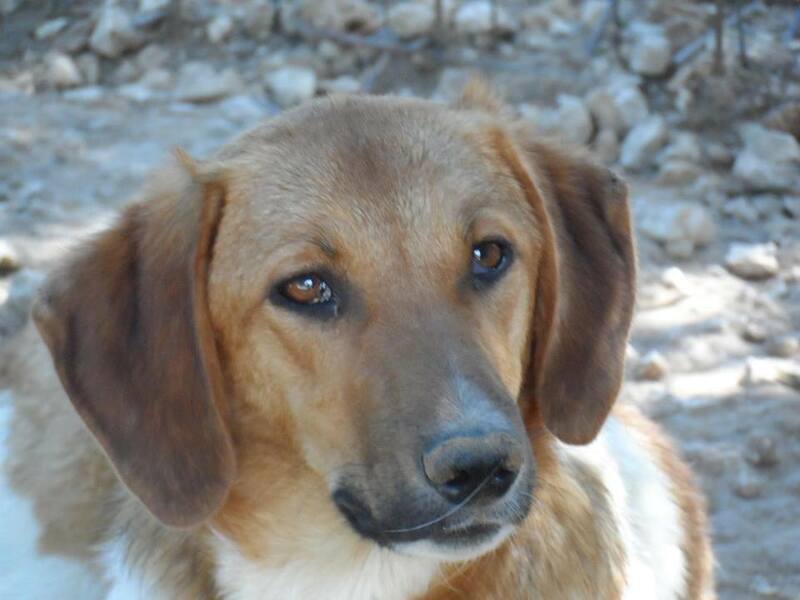 Berry is a very gentle and sweet natured lady. 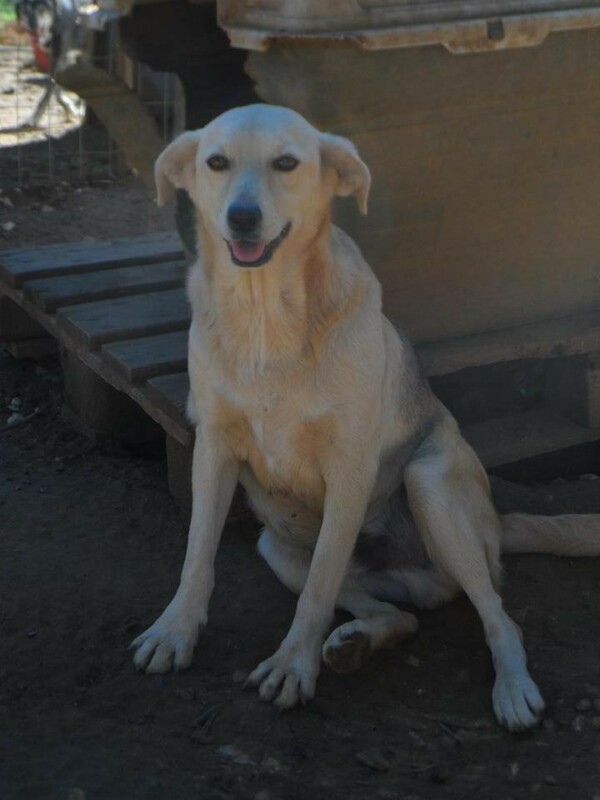 She gets on well with her kennel friends and likes to relax quietly in the sun most of the day. She really loves people and has a very sweet and loving nature. Berry will make a wonderful addition to the family. Sweep is a happy, lively and playful boy. He has become much more confident around people and gets very excited to greet the people he knows and trusts. Sweep shares a kennel with his brother Sooty. 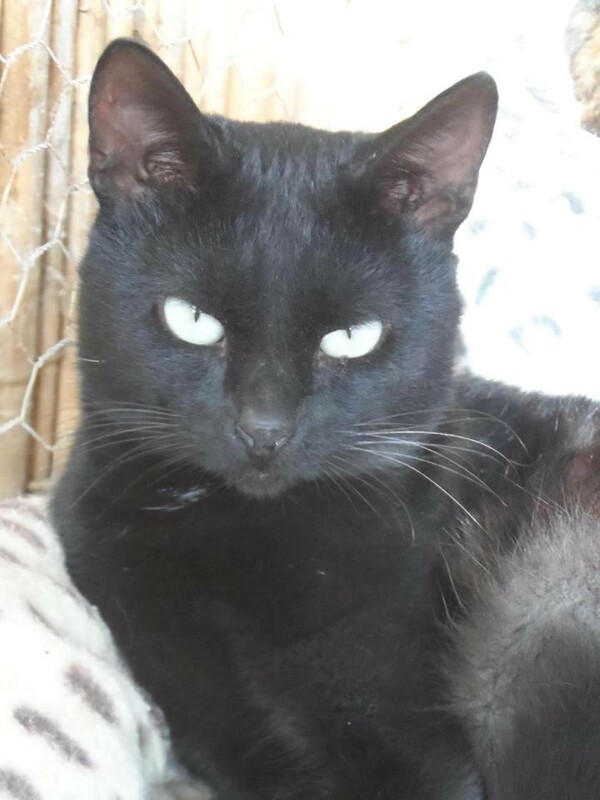 Both boys love to play, they are very young and sweet, and it would be wonderful if they could be homed together as they have so far been together all their lives. 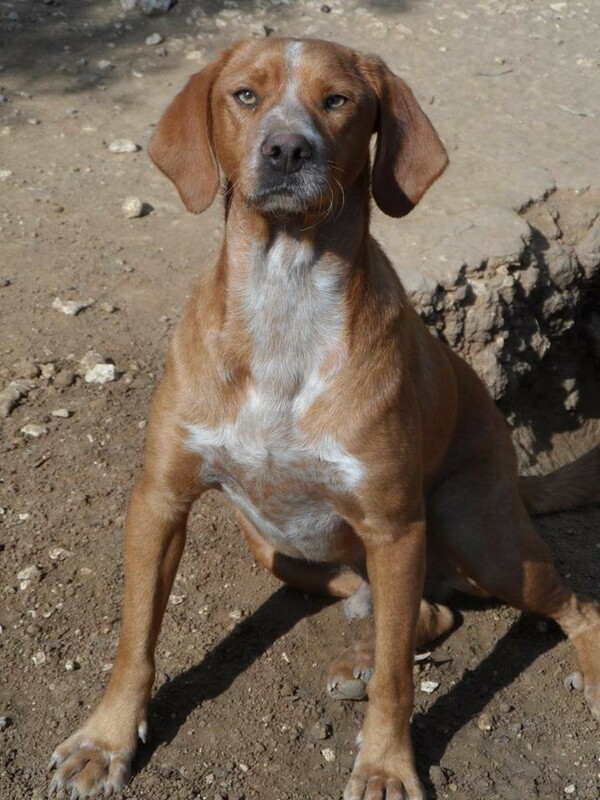 Thor is a really lovely boy, with a very happy, fun and loving nature. Thor really loves the company of people, and greets you with a very happy hug. Thor will make a really loving and happy addition to the family. 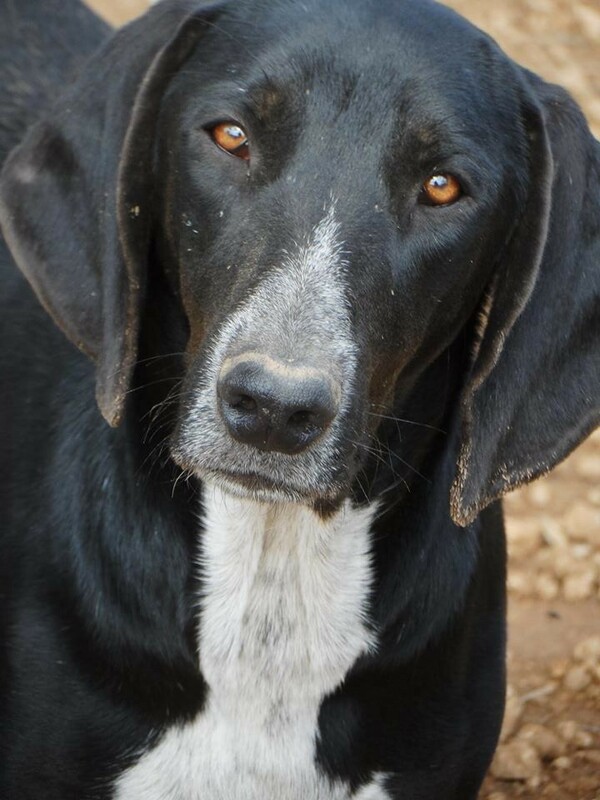 Ali is an absolutely wonderful girl, she adores people and will be the very first to greet you at the kennel gate. Ali gets on very well with her kennel friends, but she is much more interested in cuddles and affection from her human friends. 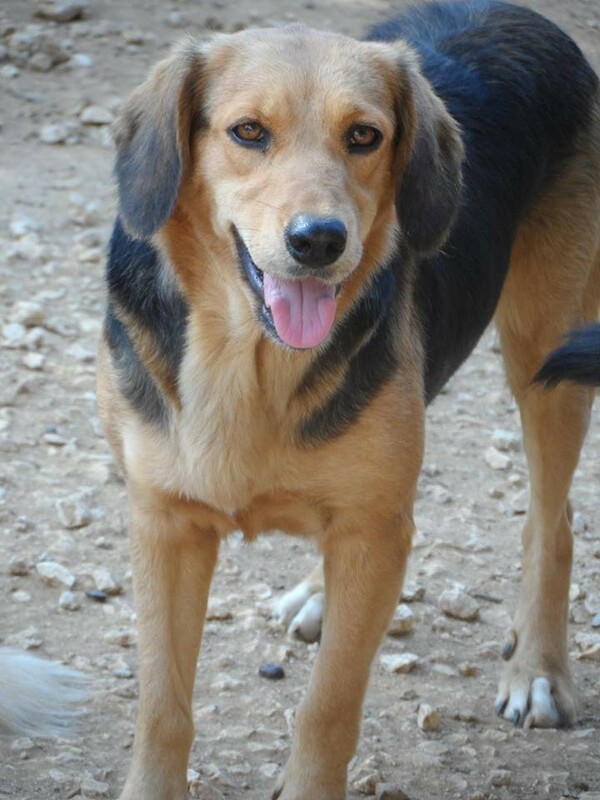 Ali is a beautiful girl with a great character, and will make the most wonderful addition to the family. 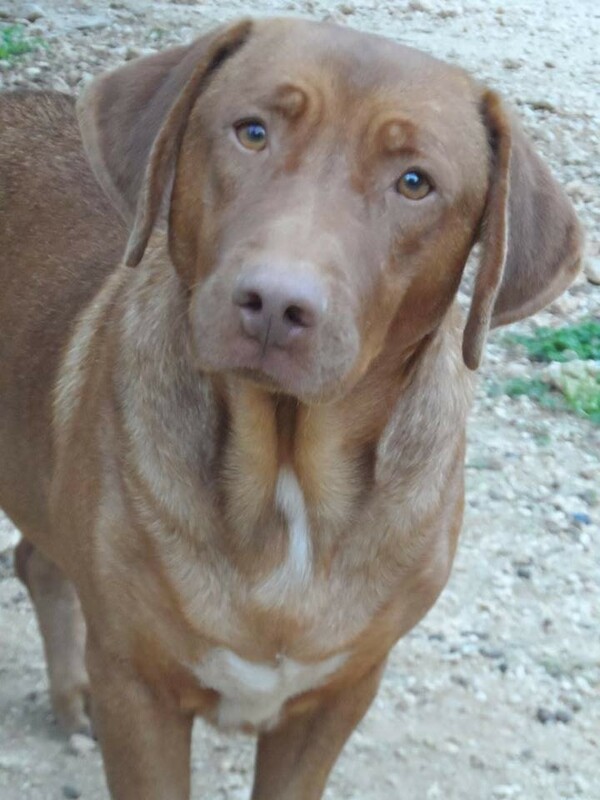 Holly is an absolute sweetheart, she has the most adorable and gentle nature, she absolutely loves people, and she also gets on well with her kennel friends who she likes to play with. 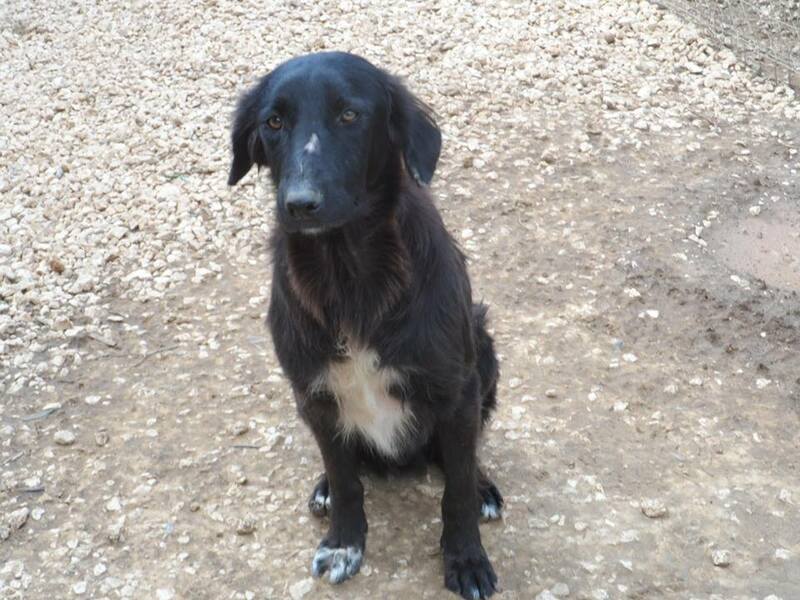 Holly is such a lovely little girl, she will make a truly special and loving addition to the family. Jumbo is a very happy and friendly boy. 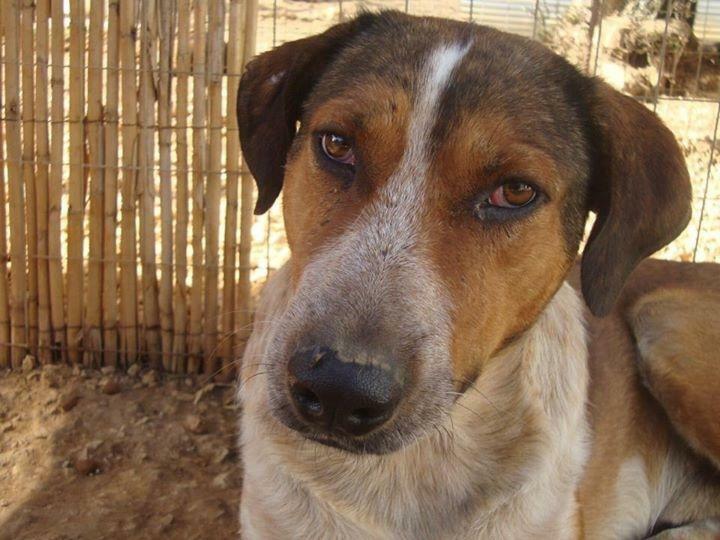 He gets on very well with his kennel friends, and he loves to be around people. Jumbo will make a lovely addition to the family. 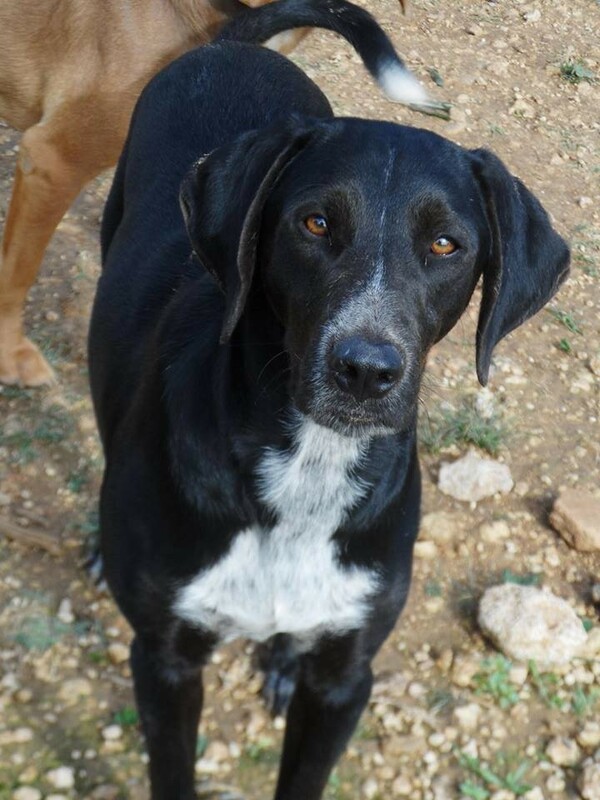 Snoopy is a very happy and lively girl, she gets on well with her kennel friends who she loves to jump around playing with, and she also really loves to be around people. Snoopy will make a great addition to the family. 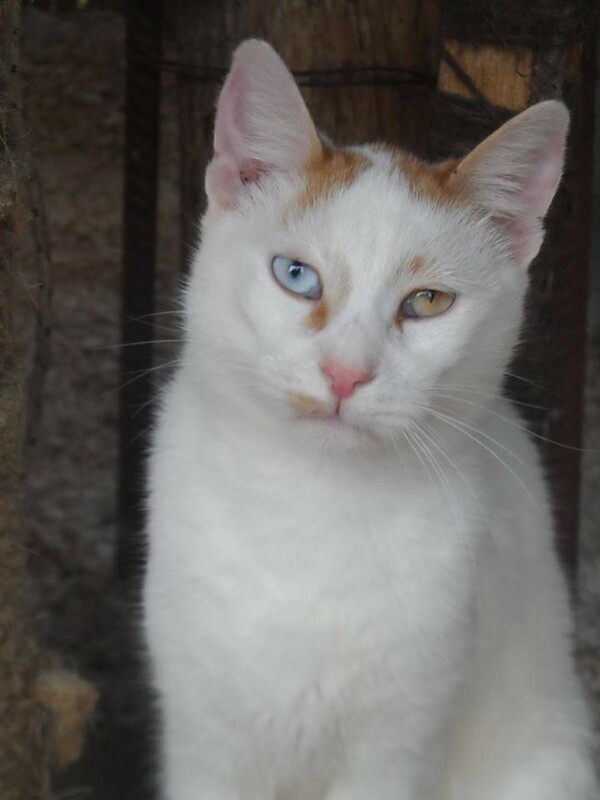 Anton is a stunning boy with a lovely nature and the most beautiful eyes. He lives together with his mum and siblings and has spent almost all his life so far growing up in the shelter. 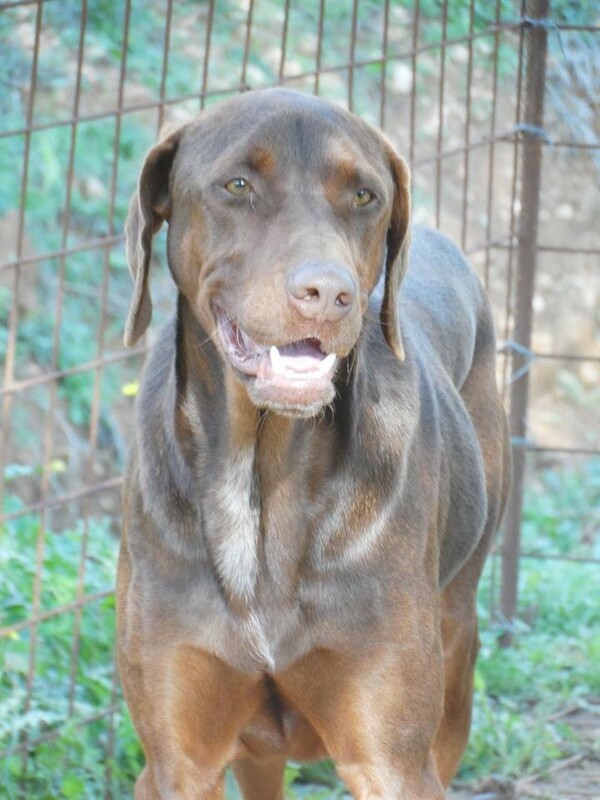 Anton loves to play with his kennel friends, and is very affectionate and loving with people. It would be wonderful for him to get to know a life outside of the shelter and in a real home with a family of his own. Anton will make a wonderful addition to the family. 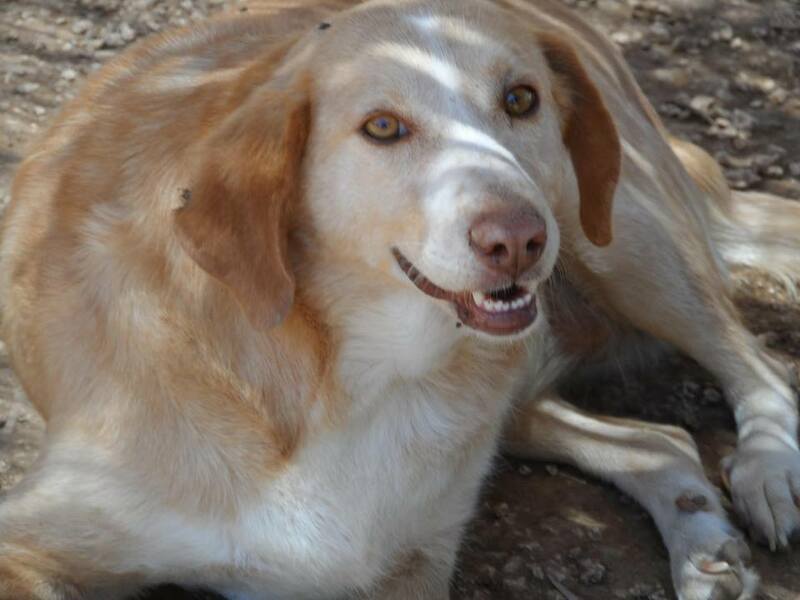 Sandi is a very pretty and an incredibly affectionate lady. She is very gentle, relaxed, and has a very calm nature. She spends most of her time bathing in the sun with her kennel friends, but she is the first to run and greet you as she absolutely adores people, and would spend all day being cuddled if she could. 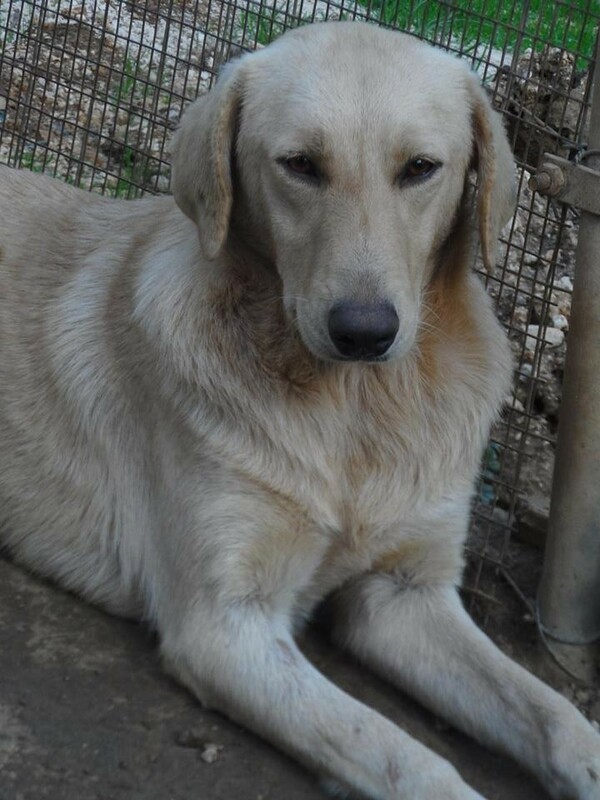 Sandi will make the most loving addition to the family. 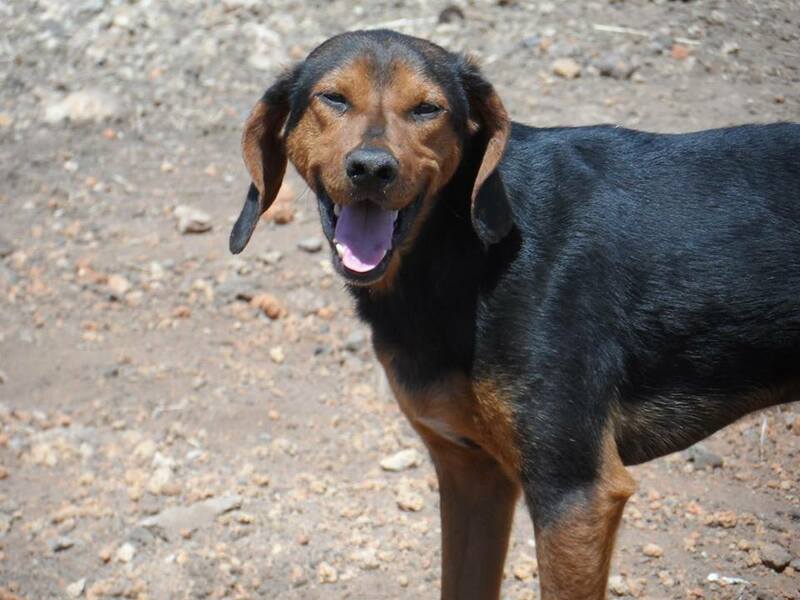 Pepe is a very happy and lively boy, he loves to play all day with his kennel friends, and he is the first to greet any visitors at the gate. 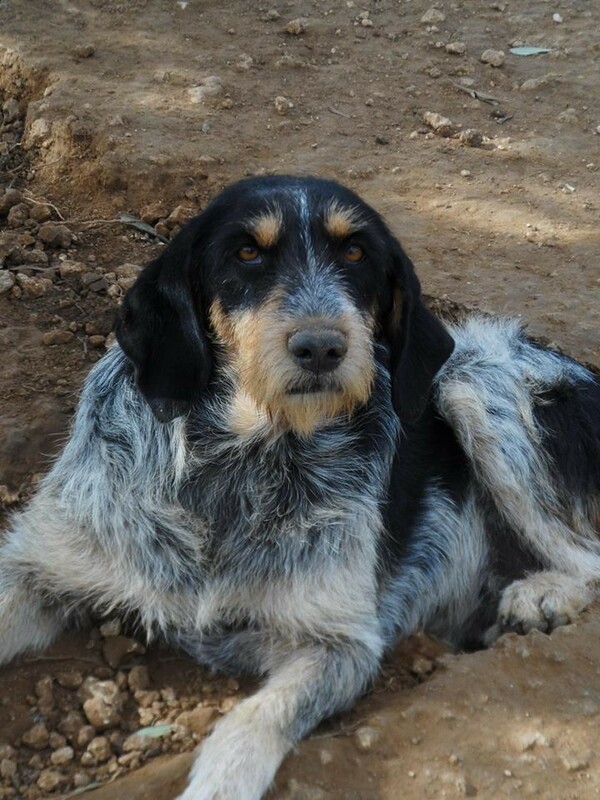 Pepe has a lovely and fun nature, and will make a great addition to the family. Chica is only available for sponsorship. She is a sweet little girl, who was once so afraid of people. However, like her kennel friend Chorito, she has shown signs of great improvement with those that she has spent a lot of time with. Doris ARK is her home where she is happy with Chorito. Carmen had an incredibly bad life before she was rescued. In ark she found safety and very slowly she started to enjoy life again. Now she lives freely with the other dogs we call the 'family' at Ark, greets the visitors, and follows everyone (especially her savior Marina) all day. She knows all the gossip! After many years of silence she has started barking when there is trouble at Ark, and the glistening in her eyes returns. 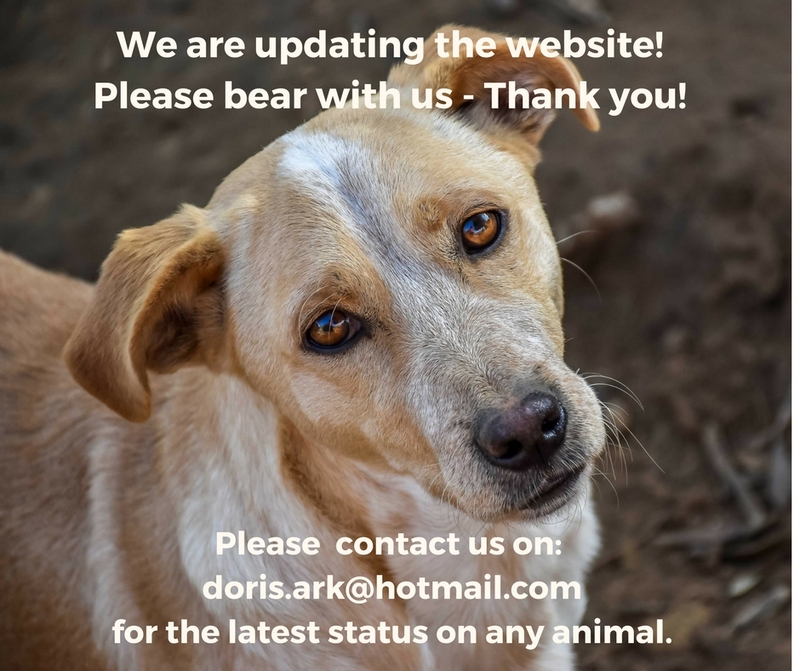 Ark is her home, but she is looking for a sponsor! Hayley is only available for sponsorship. 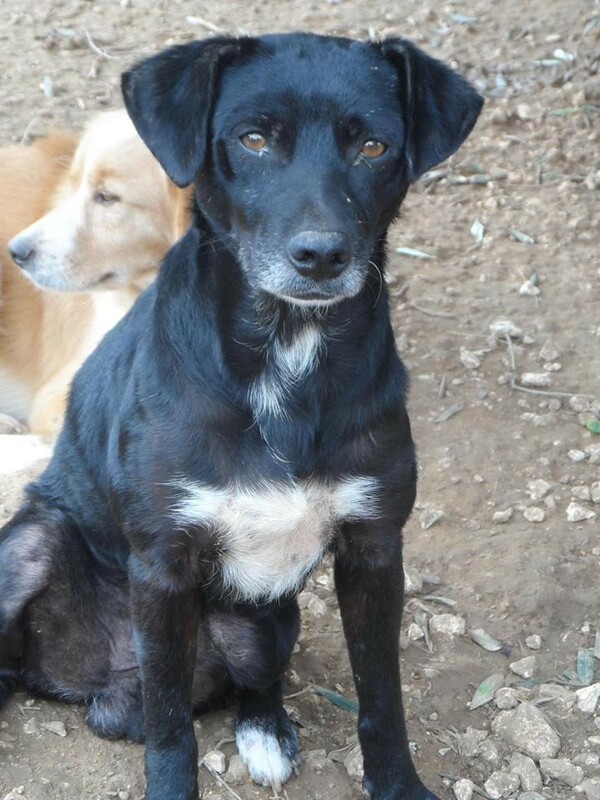 He is a real sweetie, a small boy, who is quite quiet, relaxed, very cute and likes to be given cuddles. Hayley gets on well with his kennel friends. Doris ARK is his home. 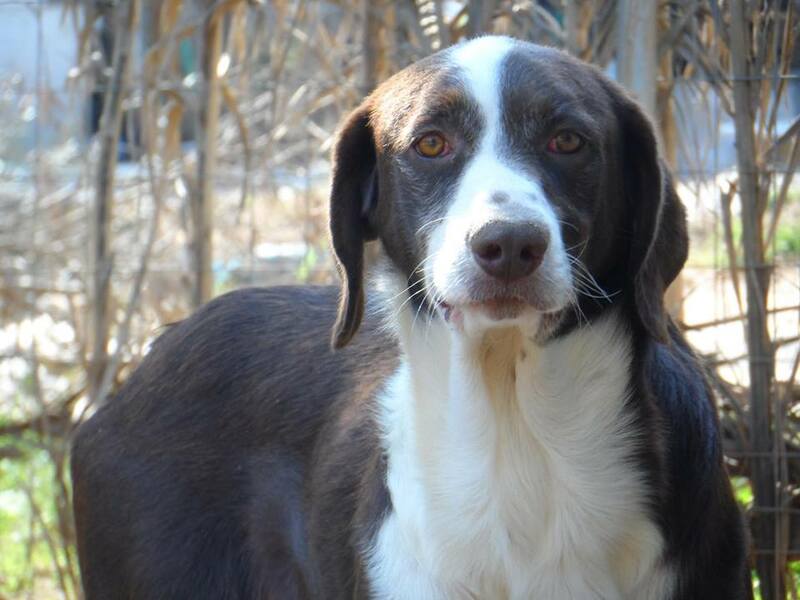 Brandy is a sweet but timid boy, though he has improved greatly during his time at the shelter. He now enjoys affection from people he is comfortable with, and is very happy and playful with his group of kennel friends. Brandy will make a great addition to the family. 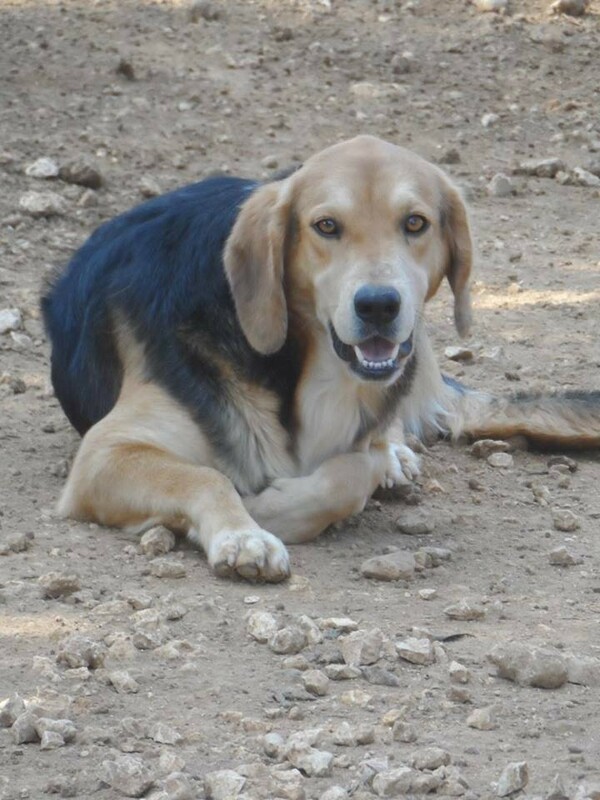 Boxi is a really adorable and fun boy, with a lovely friendly and affectionate nature both with people and with his kennel friends. 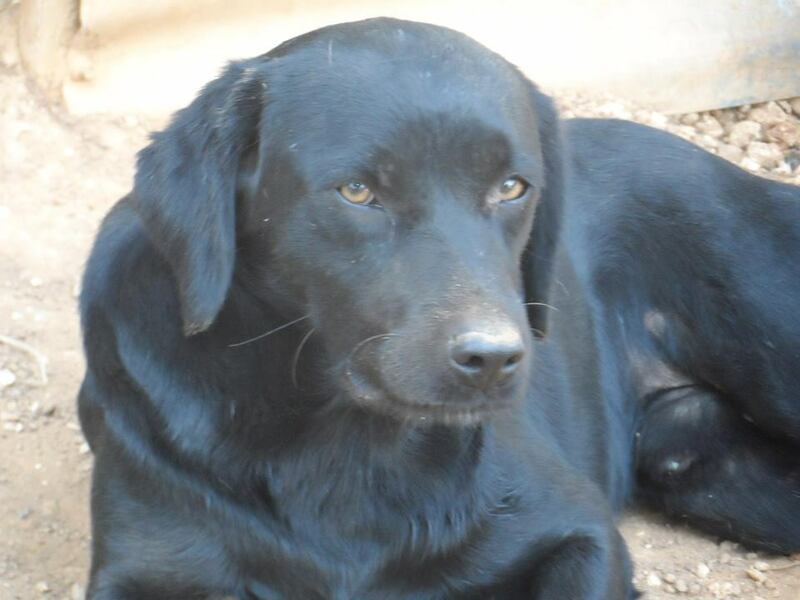 Boxi has grown up in the shelter with his mum and siblings, it would be wonderful for him to get to know a life outside of the shelter and in a real home with a family of his own. 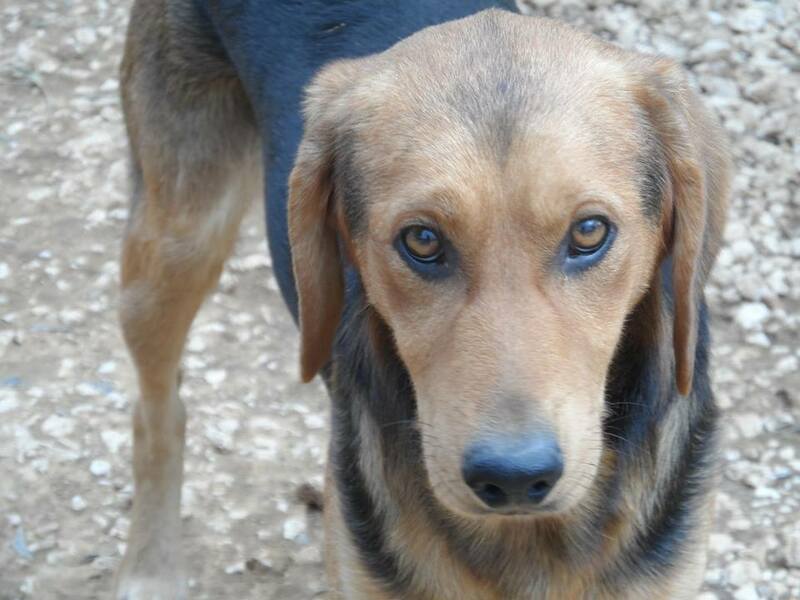 Boxi loves to bounce around and play with his kennel friends all day long, he will make a truly wonderful addition to the family. Bella is a real little sweetheart, she has an adorable nature, can be a little bit timid when she first meets new people, but has the cutest curiosity and playful ways. She adores Biggie who she shares her kennel with. 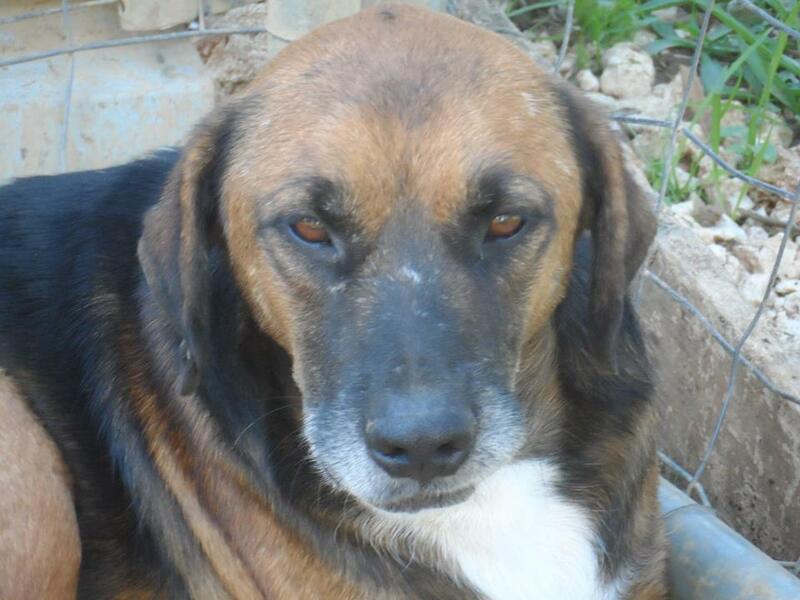 Bella would benefit greatly from living in a loving home environment to continue her growing confidence. An absolute cutey, Bella will make an adorable addition to the family. Mari is only available for sponsorship. She will need further socialising before she will be ready for rehoming. She is still timid, but is showing signs of improvement and curiosity, will come close and smell you and occasionally you can touch her. Until she has shown more progress, Doris ARK will be her home. Marco is only available for sponsorship. 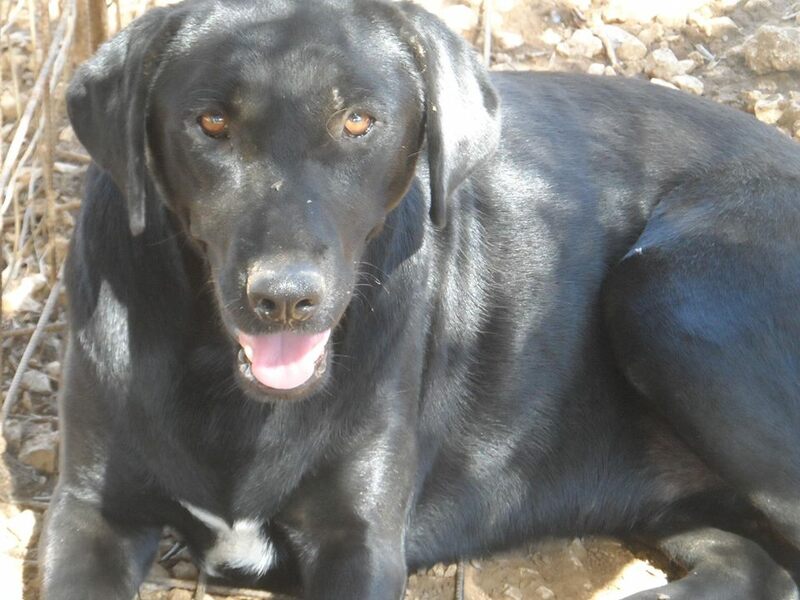 He is a very sweet boy, he loves attention from people, and also loves relaxing quietly in the sun. Doris ARK is his home. 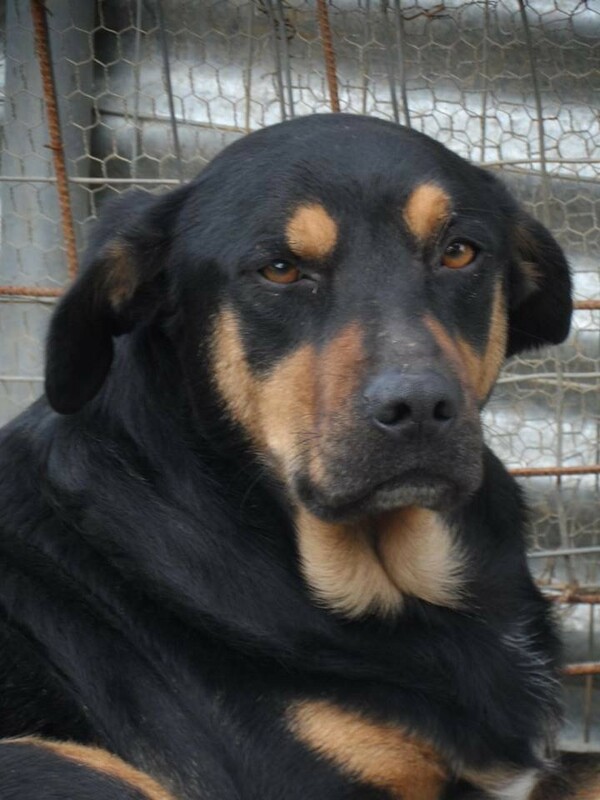 Bonno is a beautiful big boy with the most lovely and endearing nature. 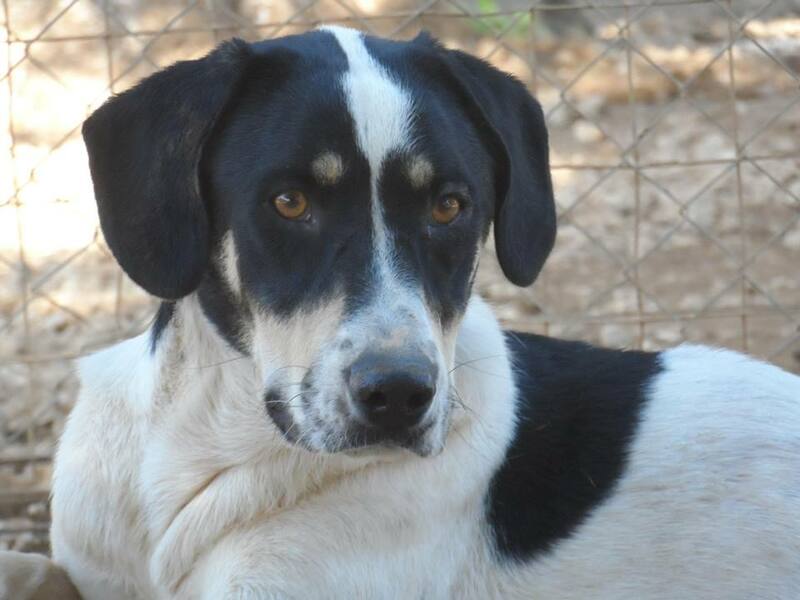 He gets on very well with his kennel friends, and enjoys very much the company of people. Bonno has quite a subtle but fun and playful side, and has a very sweet way of letting you know he wants attention. 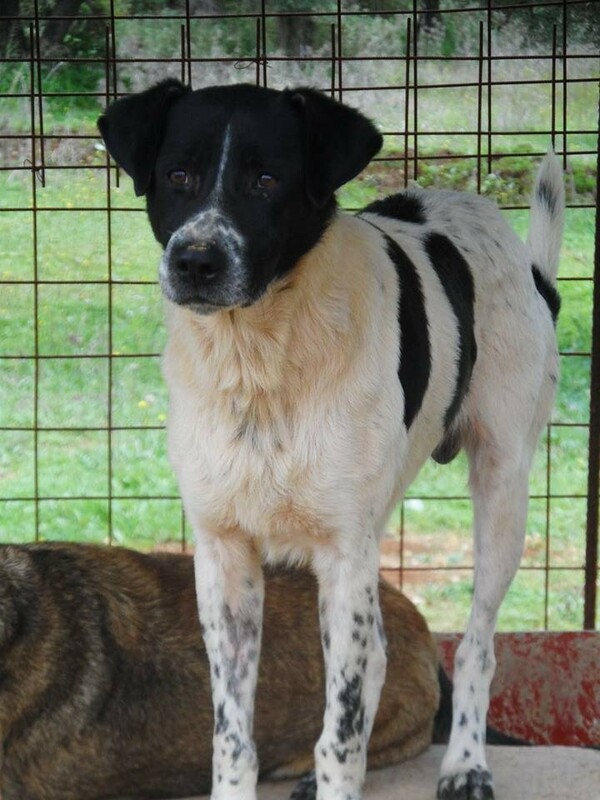 Bonno is sponsored and not for adoption. Mouse is an absolute sweetheart, a fun and lively little girl who has a lot of fun playing with her friends and her sister Minnie, but is most excited when she spends time with people having cuddles. Mouse will make a wonderful addition to the family. 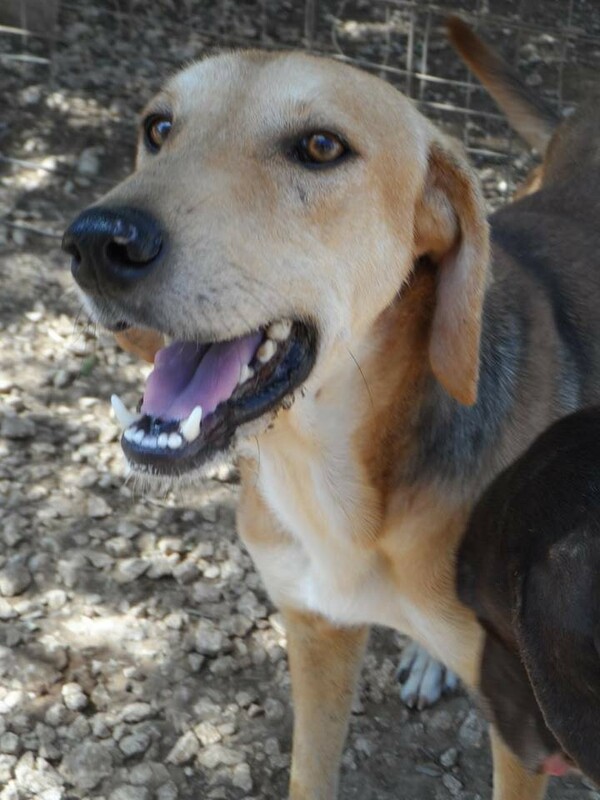 Bob is a very sweet boy, he enjoys the company of his kennel friends, and likes to run around and play. He also enjoys sleeping in the sun on the roof of his kennel. 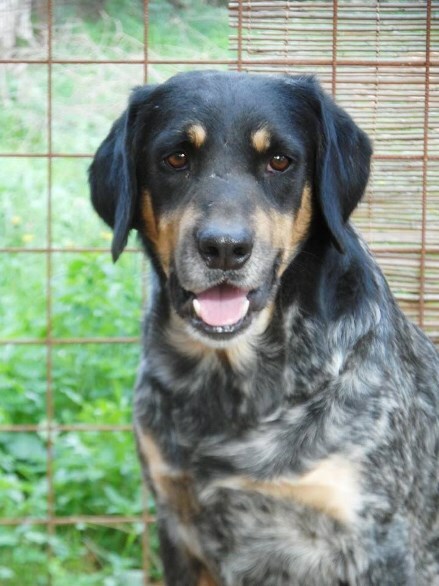 Bob loves to be around people, and will make a lovely addition to the family. Gus is a very sweet and gentle boy. He gets on well with his kennel friends, occasionally joining in to play but he prefers relaxing in the sun for a lot of the day. Gus really likes to be with people and accepts gentle cuddles and tummy tickles as often as he can. He is diagnosed with lupus, but apart from his bald spots of which some occasionally open, he is doing well. He has gained weight and looks very good. Gus will make a lovely addition to the family. 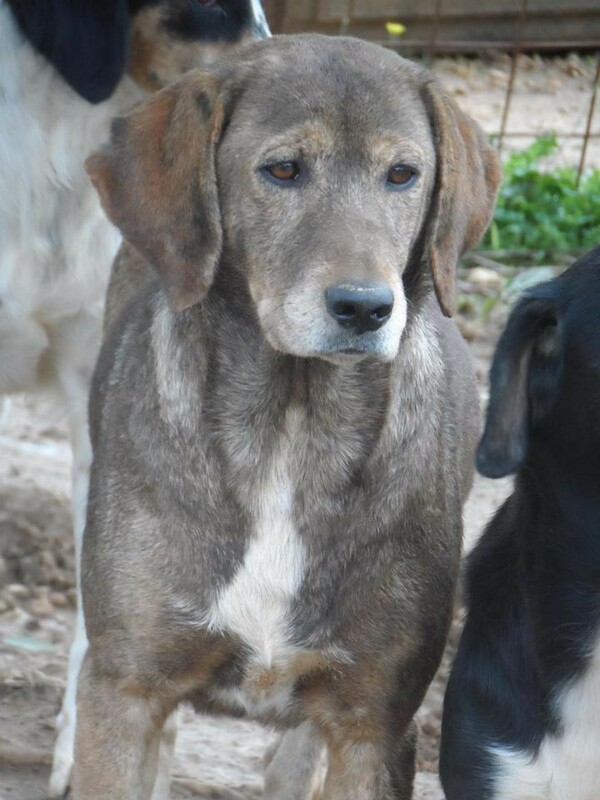 Elsa is a lovely and gentle girl, she loves attention from people and gets on well with the group of dogs she lives with. She likes to play with her friends, but also likes to relax, and is very grateful to receive cuddles at any time. 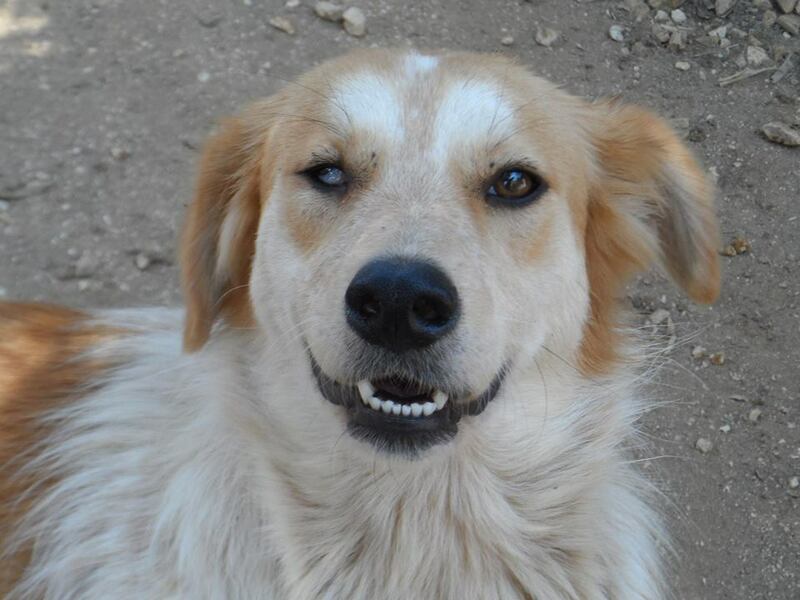 Elsa is blind in one eye, but it doesnt affect her at all. 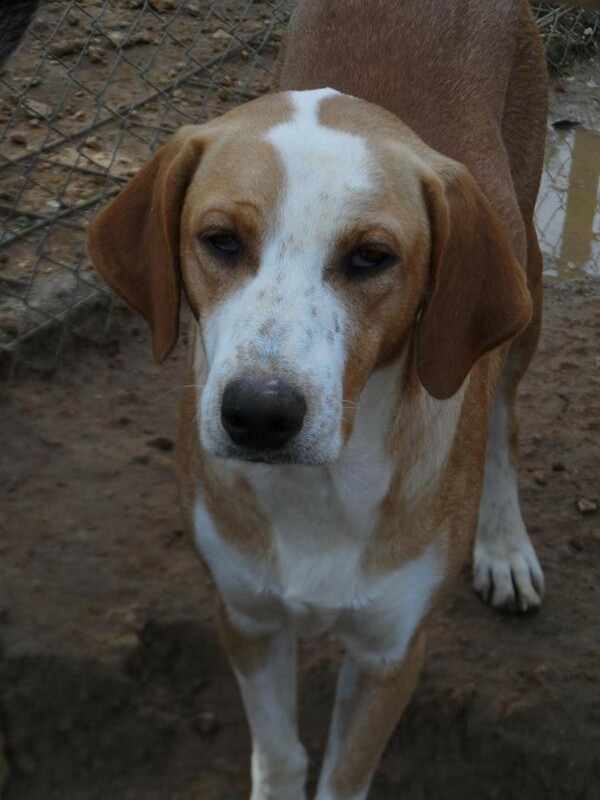 A very sweet and pretty girl who would make a wonderful addition to the family. Rescued after having drunk chemicals from around a bin, He was fostered and fortunately made a remarkable recovery. 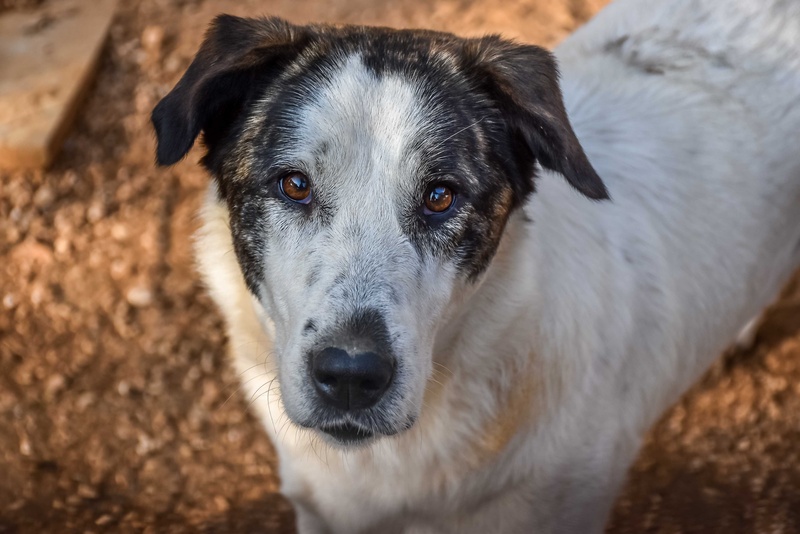 Asteris is a fun and lively boy, he enjoys running around playing all day with his friends, and loves to be with people having lots of cuddles. 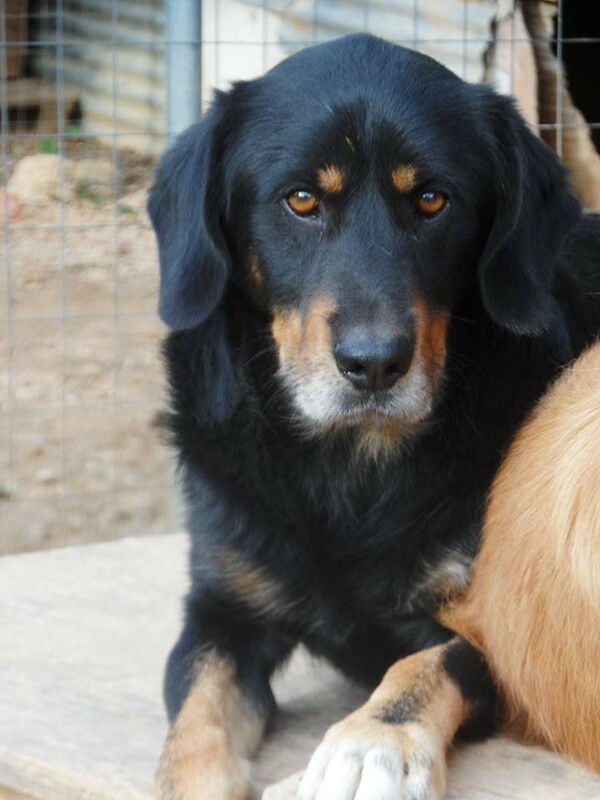 Asteri is not for adoption, but is looking for a sponsor!